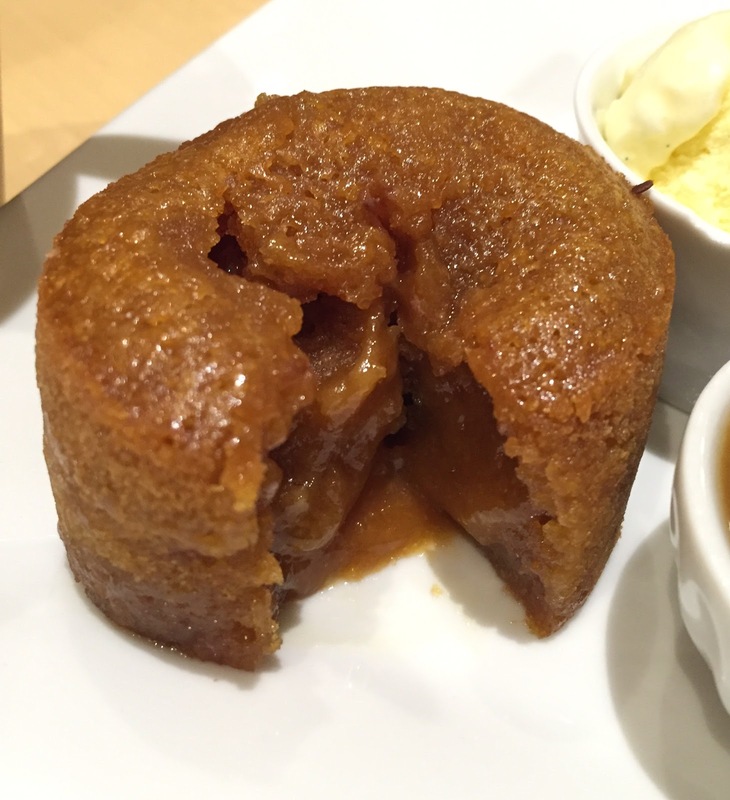 Caramel Fondant at Juliette et Chocolat was described as "Our caramel take on the molten heart cake, covered in melted chocolate or fleur de sel caramel and served with a scoop of ice cream." Fleur de sel is a hand-harvested sea salt. We chose fleur de sel caramel and it came with vanilla ice cream. Like chocolate fondant (lava cake), when we cut the cake, melted caramel came out.